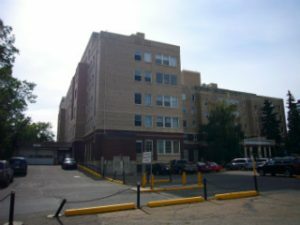 – Downtown, at the NE corner of 111 St. and Jasper Ave.
– Go thru the former emergency entrance garage doors (marked HELP/Acupuncture) at at NE corner of the bldg. 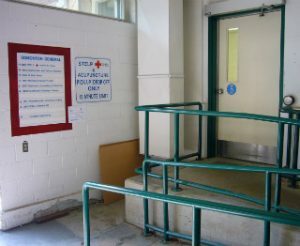 – Look for the signs inside the garage, go in thru the S (wheelchair ramp) door. If you’ve done this, you are on the correct floor, just turn left into the Wellness Wing & follow the hallway to Rm 3B-12. – Note: Floor 3 is the main floor; no need to take any stairs or elevators. Availability – one weekend monthly, by appointment only.